Larry Brown has SMU off to a strong 3-2 start in its inaugural season in the American Athletic Conference, but in all honesty the Mustangs are really looking forward to next season. That’s when five-star point guard Emmanuel Mudiay, arguably SMU’s best-ever recruit sets foot on the Dallas campus. The 6’4” point guard is currently ranked as the top point guard in the country and No. 3 player overall. A native of Dallas, Mudiay surpassed Tyus Jones (#4 overall, #2 PG – 2014) as the top point guard in the country last summer due to his unique combination of size and speed. 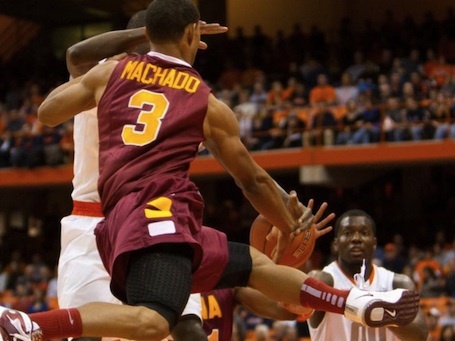 At 6’4” and 190 pounds, Mudiay possesses the physical attributes that NBA scouts love. 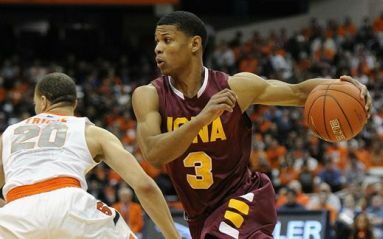 He is extremely difficult to contain off the dribble and can finish above the rim or dish to teammates for easy baskets. Mudiay is not known for his outside shooting at this point, but so far during his senior season at Prime Prep (TX) he has shown some range in numerous high scoring outbursts. Mudiay’s size and athletic ability make for an easy comparison to John Wall. Given the comparison it was widely assumed that Mudiay would be next in line as a one-and-done point guard for John Calipari at Kentucky. Instead, he chose SMU over Kentucky, Baylor, Kansas, and Oklahoma State on August 24. Why the Mustangs? “He’s a Hall of Fame coach,” Mudiay said, referring to Brown. “He coaches Hall of Fame players. One day I want to play in the NBA. He’s coached at the highest level. I can learn a lot from him.” After six seasons of subpar play under former head coach Matt Doherty, the Mustangs have a newfound confidence which is showing up in the recruiting world. 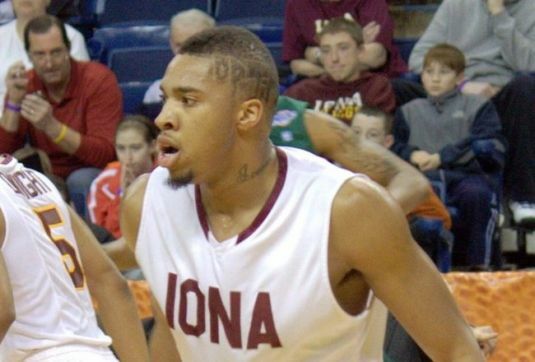 In the 2013 recruiting class, Brown landed five-star shooting guard Keith Frazier (#33 – 2013), another Dallas native. While Frazier is only averaging 5.9 points per game as a freshman, a backcourt of Mudiay and Frazier could develop into one of the top duos in the country next year. With only two seniors on the roster, the Mustangs are a relatively young team that should return its top scorers in Nic Moore and Markus Kennedy next season. SMU last made the NCAA Tournament way back in 1993, but that drought could be over very soon with its recent five-star recruits. Canisius Surprises. Not a big surprise given the pool of talent here, a good bit better than a lot of people anticipated, and the coaching of Jim Baron. A win over ‘Little Three’ rival St. Bonaventure was particularly sweet for Baron, a former Bonnie player and coach. St. Peter’s also merits a note. A preseason pick at the bottom of the league, the Peacocks have wins at Rutgers, Cornell and a home conquest of Central Connecticiut. A loss to Binghamton doesn’t damper the early enthusiasm in Jersey City. Manhattan Winless. At Louisville and at Harvard. Not an easy way for anyone to open up its season. 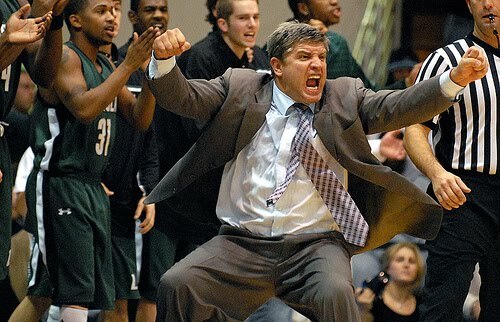 In the long run these tests should be a benefit for Steve Masiello’s Jaspers. 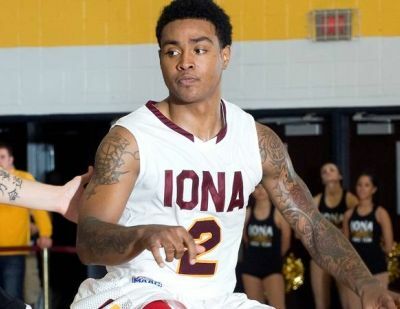 Player of the Week: Lamont Jones– The Iona senior guard averaged 30.5 points over the first two games in the Virgin Islands Paradise Jam. 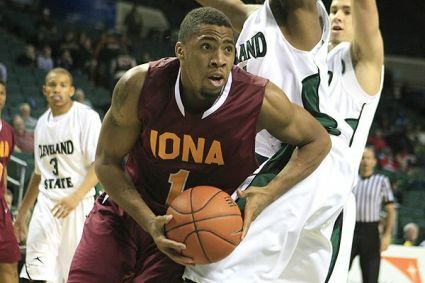 He set a tournament record 40 points in the Gaels’ overtime loss to Quinnipiac. 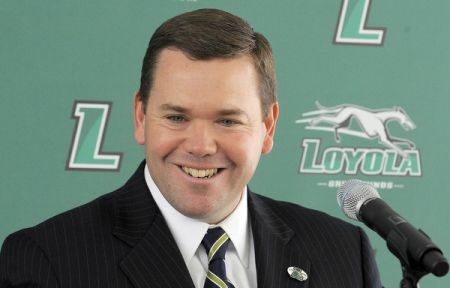 Rookie of the Week: Tyler Hubbard– The Loyola redshirt freshman guard came off the bench to spark the Greyhounds’ Hall of Fame Classic championship in Springfield. He scored a career-high 17 points in a win over UMBC.